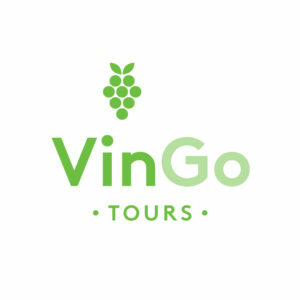 Thank you for your interest in a private tour with VinGo Tours. Your destination for easy travel to wineries, breweries, distilleries, cideries, and festivals in Virginia. We believe Virginia’s beverage tours offer a flavor for everyone and our mission is to make these beautiful places more accessible. Private Tours pricing is for transportation only. We are happy to arrange group tastings at each of your destinations and add any tasting fees to your booking costs up front. Half day tours are 4 hours long and include up to 3 stops starting at a base rate of $65 per person. Full day tours are 6 hours long and include up to 4 stops (with a stop for lunch) at a base rate of $85 per person. We will provide menus and include lunch costs in your upfront invoice, too. Locations with food are marked ** on our booking page. Additional hours beyond those booked for your tour are as follows: $120 for every additional hour for groups of 6 or fewer; $200 per additional hour for groups with 7 or more people. Cancellations made at least 14 days prior to departure will be refunded in full. Cancellations made less than 14 days but more than 7 days prior to departure will result in VinGo Tours credit to be used on another trip. No refunds or credit will be provided for cancellations made within 7 days of departure or no-shows. Clients are classified as a no-show if more than 30 minutes late for your pickup time or miss your group’s departure. All of our drivers have clean driving records and have been provided with background information on each of your selected destinations. Ask them questions about the wine and trust that they will get you to your destination safely. Gratuities are greatly appreciated for exceptional service. A typical gratuity is 15% and can be added to your invoice before or after your trip. Our detail oriented team is experienced in organizing the itinerary of any trip. We will confirm trip details shortly after booking to include your pick up and drop off addresses and any special directions. Price is subject to change if your itinerary is changed within 14 days of your trip. There is an additional mileage fee for tours originating outside of the Charlottesville and Richmond areas. Please help us keep costs low by respecting our drivers and vehicles. You will be charged an additional cleaning and repair fee for excessive trash, damages, and/or results from too much alcohol consumption. VinGo Tours will make every effort to provide on-time and efficient service. However, if delays occur we will make all efforts to resolve the issue quickly. In the event that your tour has to be canceled or rescheduled due to weather, we will make all efforts to figure out a solution that works for your party. Touring wineries and vineyards can be a lot of fun. If your group is the cause of the delay, we will charge for additional hours beyond those booked for your tour at the following rate: $120 for every additional hour for groups of 12 or fewer; $200 per additional hour for groups larger than 12 people. NOTICE: You must be 21 years of age to book a tour with VinGo Tours. Everyone in your party must be of legal drinking age in Virginia at the time of your tour. VinGo Tours will check IDs at pickup.